August 18, 2017 Anchorage, Alaska – Great Alaskan Holidays (www.rvak.com), Alaska’s largest RV rental, sales, and service business headquartered in Anchorage, continues as a significant contributor to the State of Alaska’s tourism industry, and supporter of its economy, positioning itself as a draw to travelers from a global marketplace. As the State of Alaska’s summer season begins to wind down, and the fall shoulder season kicks in, Great Alaskan Holidays has appealed to the worldwide RV rental community with customers converging on Anchorage from all 50 of the United States, the District of Columbia, 7 of the 13 Canadian providences or territories, and 26 different countries throughout the world during the 2017 season. With the State of Alaska’s budget that supports tourism having dwindled significantly over the past few years, it is imperative that private enterprise pick up that slack. And Great Alaskan Holidays is helping to do exactly that, continuing to stand behind the state in its efforts to bolster the economy. Great Alaskan Holidays celebrates the diversity of customers that walk through their doors by offering a variety of rental options, amenities, and added value, as well as services provided by their second-to-none Reservations and Customer Service teams. “Our rental customers, most all of whom come from origins outside of Alaska, still consider our state as a true, unique, and exciting destination; some viewing it as a once in a lifetime opportunity. And the state needs to remain aware of, and embrace, this perception as well”, says Bob Johnson, the firm’s Director of Marketing. “We continue to be both strategic and tactical with our streamlined marketing approach tied directly to this belief as we outreach to these valued customers. The tourism industry here in Alaska remains as one of the strongest components to the state’s overall economic health, regardless of the limited budget the state has devoted to it. Not only are we firmly entrenched in the contributions we make to this industry to help fill the gap of a reduced budget, we also remain passionately devoted to our employees, our customers, the markets we serve, our partners, and our local community. Great Alaskan Holidays is delighted to be such an integral part of Alaska’s tourism industry”. 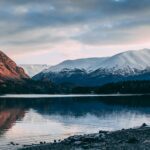 About Great Alaskan Holidays – Great Alaskan Holidays is an Alaskan-based firm located at 9800 Old Seward Highway in Anchorage, and specializes in RV rental, sales, and service. Since 1985 the firm has grown from a 5-motorhome rental company to the largest of its kind in Alaska, currently with a 27,000-square foot facility on 8 acres of land, and hundreds of RV’s available for rent or sale. Twice named the Winnebago Industries Motorhome Rental Dealership of the Year, Great Alaskan Holidays offers a wide variety of styles and floorplans to select from. For more information, please visit us at www.rvak.com, or search for ‘Great Alaskan Holidays’ on Facebook https://www.facebook.com/GreatAlaskanHolidays/. Bob Johnson, Director of Marketing, may be reached directly by calling (907) 677-4536.